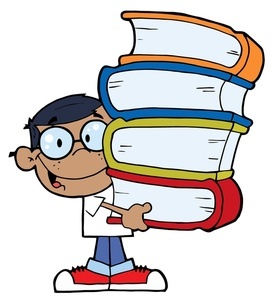 Some books have that “oomph” that excites a reader and keeps him or her smiling from the first page to the last. A House for Mouse, by author and poet Gabby Dawnay is just such a book. The story opens “long, long ago” (in typical fairy tale), and tells the story of how a little gray mouse moves out of the tree he was born in and goes on a quest for a new home. With a bag on his back the little gray mouse house-hunts through Fairy Tale Valley, encountering all the best fairy tale houses in the process. First he encounters a hut made of straw, but when something (in this case, a puff of wind from a wolf) blows the roof off, he decides he should probably find a house made of bricks. Next, he encounters Rapunzel’s tower — which happens to have NO door for him to enter, and a gingerbread house just begging to be eaten — but when he takes a bite, the house begins to crumble. 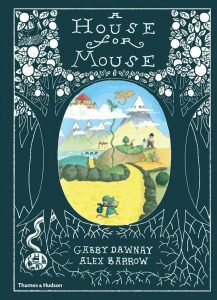 Every delightful fairy tale with a cozy home that a young reader can think of is covered in this book as mouse hunts for the place that will be his forever home. This is a fun picture book with a rhythm and rhyme that will leave a twinkle in the eyes of readers of all ages. Illustrator Alex Barrow’s art work is quaint and simplistic, like the illustrated fairy tales of yester-year — including an adventure map of Fairy Tale Valley that shows the route mouse takes through the forest in his quest for a new home. Young children will thrill in this fast-paced adventure that conjures good memories of their favorite fairy tales. They get an impromptu lesson about the pros and cons of living in each type of home the mouse encounters, and they will also experience the satisfying ending in which the mouse explains what makes a house a home. There were so many children and oh what a no! It is assumed that the word in the second line should have been “noise,” but for some reason, the editors seemed to have missed this. And I’d rather not live in a tower with no door. This attempt to match “straw” and “door” as rhyming words is not the worst tragedy in the world, and might have been more easily forgiven if Ms. Dawnay had not displayed such impeccable rhyming abilities in the remainder of the manuscript. Thank you again for your lovely review – it makes me extremely happy to hear that the book is ‘working’ as I’m very proud of it! Thanks sooo much for visiting and for taking the time to comment. I apologize that it has taken me so long to respond. I’ve been celebrating the debut of my own picture book, HAMMERING FOR FREEDOM. I’m so happy that I didn’t make a mistake about the typo. I did not want to mention it; I know the energy, effort and love that goes into a book. However, I felt I would be remiss if I didn’t. Thanks for pointing out the pronunciation differences between the US and the UK! No, I haven’t seen your other books. As soon as things settle down with my own debut, I will get back to you! Thanks again for your visit!